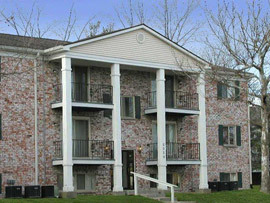 NMI purchased this 318 unit, 1973 built apartment property located in Indianapolis, IN in March of 2009. NMI acquired the property from the first mortgage lender following a deed in lieu of foreclosure. The property was 58% occupied and in substantial disrepair when we closed and have since completed an operational turnaround and physical renovation using conventional financing and substantial owner capital. The property is now 100% renovated and 96% occupied.